Spring has officially sprung, and we are psyched. Seriously, we couldn’t be more stoked to put away our floor-length parkas and our stupid hats, break out the shorts and sandals, and start planning a big backyard barbecue. Don’t know where to start? 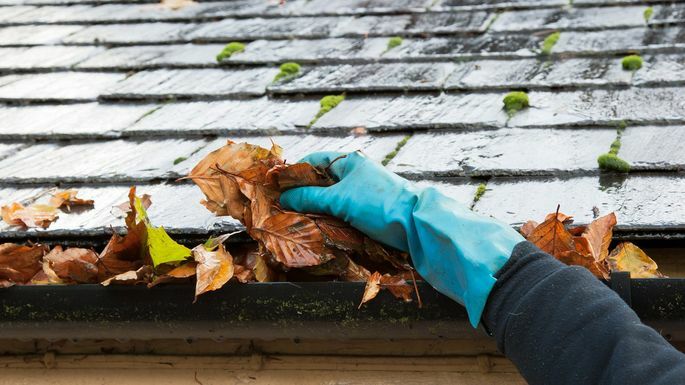 We’ve done the heavy lifting for you, focusing on the most crucial spring chores to tackle—and how to take ’em on, whether you’re up for some DIY action or need to call in the pros. So go ahead and set aside a Saturday (soon!) for these essential maintenance tasks, and prep your home for all those spring soirees. DIY: If you feel comfortable, shimmy up a ladder to get a view of your gutters. Check for debris, and run water through your downspouts to make sure they aren’t clogged. We know, we know—you’re probably not stoked for this one. But here’s the cold, hard fact: A lot can happen down there during the frigid months. Critters can set up house, pipes can freeze or break loose from their brackets, and too much moisture can lead to (shudder) mold. DIY: “Unless your crawl space is full of rooms, you can do a very thorough inspection from the entry door,” Turner says. Open the door, kneel down, and train a high-powered flashlight on the ground. Most homes have a vapor barrier or plastic sheet covering the entire dirt floor, which prevents humidity from seeping into your insulation (and your home). Make sure this sheet is intact and hasn’t shifted or been ripped by animals during the winter months. 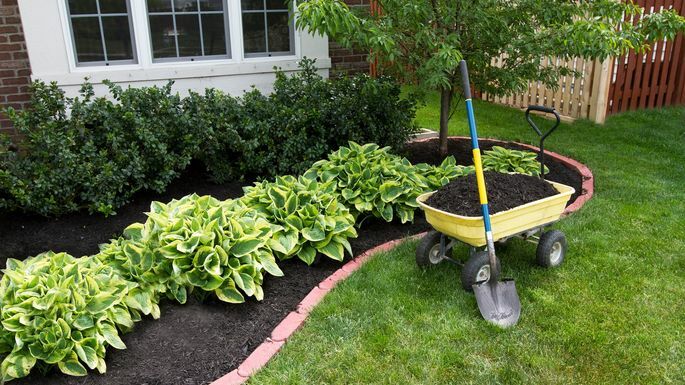 Apply fresh mulch in the garden. Prepare the soil before planting new flowers. We all know that April showers bring May flowers—but only if you’ve done the requisite prep work. “The more weeds you eliminate now, the less competition your garden plants will face for sunlight, nutrients, and moisture,” Lemon says. 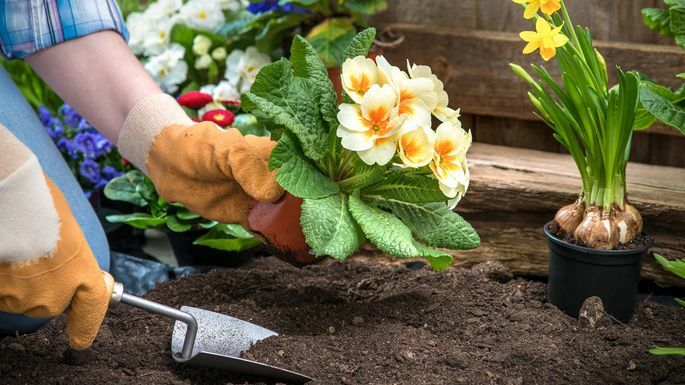 Call in the pros: If you don’t have anything even remotely resembling a green thumb, consider hiring a professional gardener or landscaper. But know that the price you’ll pay will largely depend on how big an area you want planted. 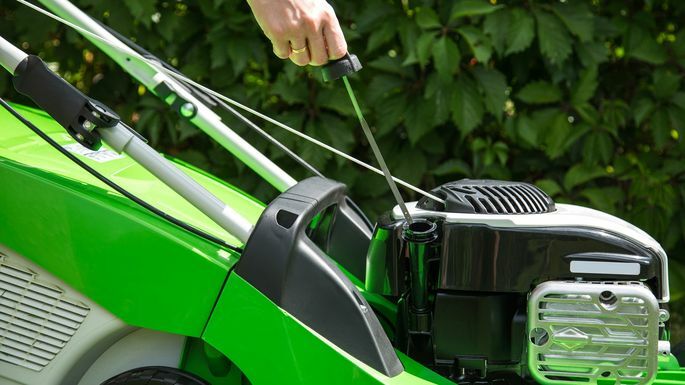 Check the oil in your lawn mower. “The last thing you want is for your appliances or HVAC to stop working just as the weather warms up,” says Chip Smith, chief marketing officer at Sears Home Services. Make sure your dishwasher’s drain is free of debris. DIY: Make sure your dishwasher’s drain is free of debris to prevent clogging. If your unit has a removable filter, clean it regularly with a mild detergent. Call in the pros: If removing the filter doesn’t solve your dishwasher woes, a professional appliance repair service will likely set you back $150.